A school for boys and girls aged 5–11. We'll send alerts to this address. We won't use it for anything else or share it. Each alert includes the option to unsubscribe. 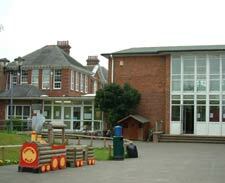 For details on how to apply to this school please see our section on School admissions. For more about how places are allocated and annual changes to the arrangements, please see our School admissions explained page. The policies and management of the school are the responsibility of the school's governing body through the headteacher. Visit Western Road Community Primary School's website for further information.